Another colorway for Kyrie Irving's first Nike Basketball signature shoe that's coming soon. 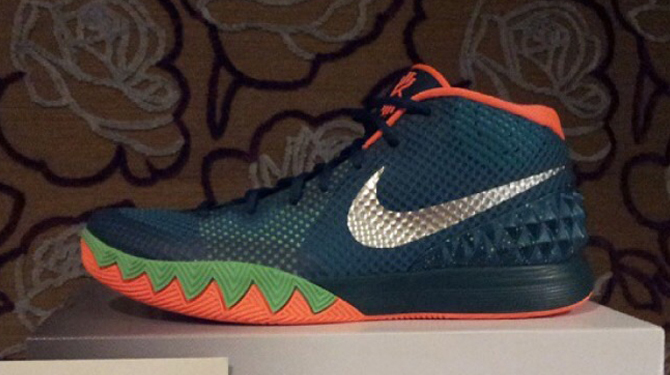 What's up next for the Nike Kyrie 1? There's the obvious "BHM" and the inevitable "All Star" that's yet to be revealed, but that's not all. Later on in February there will be this pair, which looks vaguely like the "Australia" version of the Nike Hyperdunk 2013 made for Kyrie, release that should be familiar for those following Iriving's sneaker output. That design didn't have any direct references to his Australian background on its upper though, so if this is indeed another Down Under colorway, it makes sense that there are no visible nods to the theme in these early pictures. 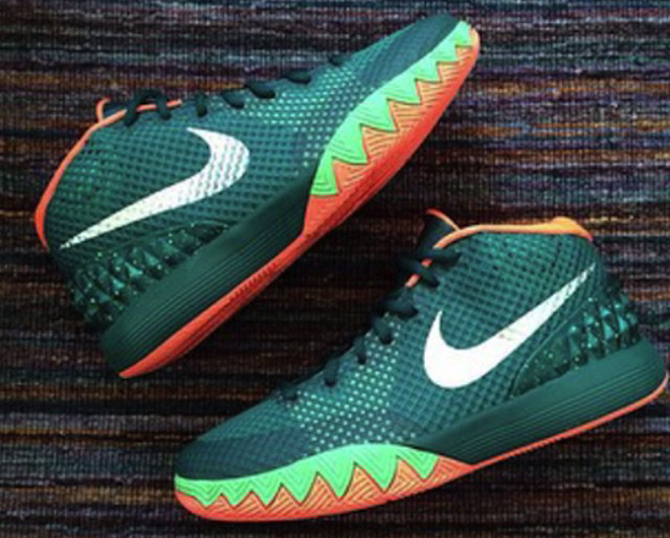 The Nike Kyrie 1 dark emerald/metallic silver seen here has a release date of Feb. 26, 2015.